A recent court decision that struck down Toronto’s shark fin ban won’t stop Vancouver’s fight to restrict the product, said one Vancouver city councillor. Coun. Kerry Jang, who proposed a ban in September, said he’s confident the city can come up with a bylaw that will hold up in court. "The Toronto ban had a problem, as I see it, because they tried to ban consumption," Jang told CBC News. "It's sort of like saying someone can't breathe or look at something anymore. Whereas what we're trying to do in Vancouver is simply looking at the sale and trade of shark fin, which is something different and under municipal powers." An Ontario judge ruled earlier this month that it was not within the city’s powers to enforce a ban, after Toronto city council passed a bylaw in September that sought to prohibit the possession, sale and consumption of shark fin. Shark fins are usually stewed in a soup and served at traditional Chinese weddings. It is a delicacy that can cost up to $100 a bowl. 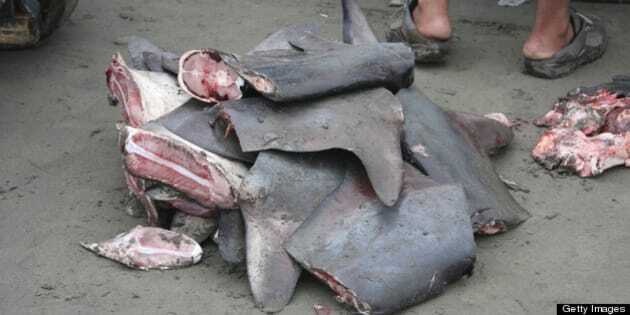 Those who support the ban have said sharks are slaughtered inhumanely just for their fins. Anti-animal cruelty groups say more than 70 million sharks are killed each year through the practice of finning. But others argue they're killed humanely and that the consumption of shark fin is a traditional part of Chinese culture. The city of Calgary also plans to ban the sale of shark fin products in the city. The bylaw is tentatively set to take effect next July.